From Air, Land & Sea Electronic Warfare and Radar Systems to Ventricular Assist Devices; from 10’ tall Smart City digital kiosks deployed in major cities around the world to 5D Simulator Rides and amusement park roller coasters, TEN TECH LLC’s engineers support and guide manufacturing companies in designing better, safer products faster and at a reduced cost. With decades of industrial experience and high expertise in Computer-Aided Engineering tools & methods, TEN TECH LLC is able to predict product performance without the use of costly physical prototypes. Evaluating more design variants in a fraction of the time, and catching potentially catastrophic design flaws early in the design process allows our client to gain a competitive advantage and dominate their respective market. TEN TECH LLC is an ITAR-registered Mechanical Engineering Consulting company with offices in Los Angeles, CA and Nashua, NH providing Mechanical Design, Analysis and Test Support services with Subject Matter Expertise in Aerospace & Defense, Hi-Tech Electronics and Renewable Energy applications. 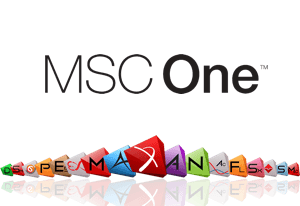 TEN TECH LLC is one of the select MSC Apex Elite Partner as well as an authorized reseller for North America of the MSC One line of products from MSC Software (MSC), including MSC Nastran, Adams, Marc, Sinda, Patran and the CFD Products spawned from MSC's acquisition of Software Cradle Co. Ltd, makers of SC/Tetra, scFLOW, HeatDesigner and scSTREAM. 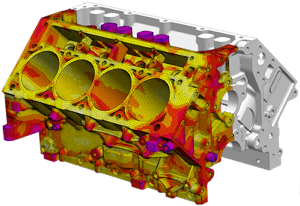 TEN TECH LLC carries the SimWise4D and Working Model 2D product line from Design Simulation Technologies (DST) for CAD-neutral, CAD-embedded and MATLAB-driven 2D & 3D motion & rigid body dynamics analysis. To promote 3D visualization and collaboration of FEA and CFD data from major CAE codes, TEN TECH LLC is the North American distributor of the Ceetron AS line of Ceetron Analyzer products, including Ceetron Analyzer Desktop & Cloud, Ceetron 3D Viewer, Ceetron 3D Viewer for Oculus Rift and Ceetron 3D Plugin for MS Office. The remarkable blend of People expertise, Process-Oriented philosophy, and Product knowledge found at TEN TECH LLC makes us a unique and invaluable partner to all of our clients’ success. 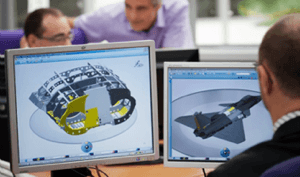 Conceptual Design, Electromechanical Packaging, 2D Drafting, 3D Modeling, Finite Element Analysis, Computational Fluid Dynamics, Electromagnetic Analysis, Physical & Environmental Test Support. 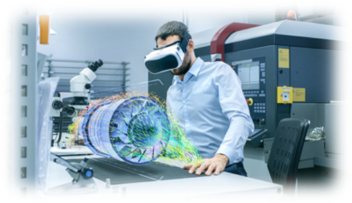 Product development applications, delivered on Dassault Systèmes’ 3DEXPERIENCE and MSC Software MSC One platforms, enabling Modeling, Simulation, Data & Process Management. As an active contributor in many defense programs, US Government Contractor, CAGE Code Holder, ITAR and JCP registered company with an active Military Critical Technical Data Agreement (DD Form 2345) TEN TECH LLC is well-versed in and fully compliant with the ITAR/EAR Export Control Regulations for technology and technical data. All of our facilities, data servers and offsite storage centers are located in the US. All of our employees are US Citizens and have received extensive training on ITAR/EAR matters. TEN TECH LLC is compliant with the requirements of NIST SP 800-171 Rev. 1 (December 2016, updated 11-28-2017) pertaining to Protecting Controlled Unclassified Information in Nonfederal Systems and Organizations and DFARS 252.204-7012 pertaining to Safeguarding Covered Defense Information and Cyber Incident Reporting.